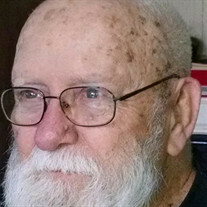 Bobby R. McDaniel Sr., 83, of Franklin, KS passed away July 31, 2018 at his home. A graveside service will be on August 7, 2018, at 10:00 AM, at Maple Hill Cemetery in Kansas City, Kansas. The family of Bobby R. McDaniel created this Life Tributes page to make it easy to share your memories.